Our June 2011 Issue is now available as a PDF (7.1 mb download), This is our biggest and best issue ever! 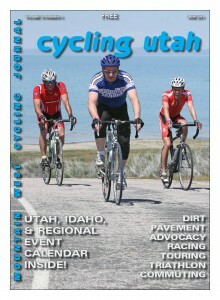 Pick up a copy at your favorite Intermountain bike shop or other location! Advocacy, Results, Commuter Column, Mechanics Corner, Calendar and More!